Charlie's aunt Rachel disappears, and it turns out that she was not only kidnapped by vampires but that she might have been turned into one. The three vampire clans of Mentis, Animus, and Corpus are close to war, and Sebastian is tasked with eliminating Charlie. She somehow is able to unlock memories of his life before he became a vampire, so now Sebastian has own agenda in keeping her alive. 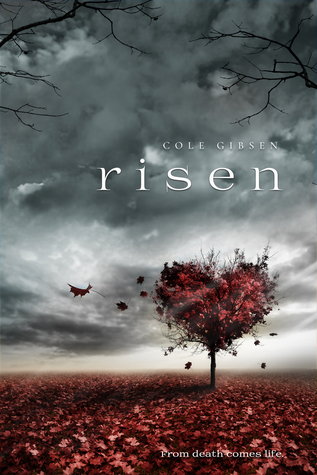 Risen is told from Charlie's perspective, so be prepared to have everything told from the first person point of view of a seventeen-year-old. Because of that, the staid, off-the-grid life with her aunt is boring and not what she wanted at all. The first chapter neatly outlines this while giving the hints of creepiness for the reader to anticipate the plot kicking in. It does immediately and doesn't let up at all. Because Charlie doesn't know anything about the different vampire clans or the other supernatural beings mentioned, it's a perfect entry into this particular world of vampires, hunters and things that go bump in the night. 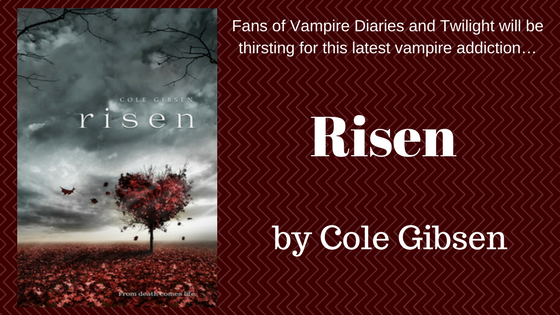 Vampires here don't sparkle, and even the kinder Animus clan still subsists on blood. There is action and hints at further mysteries that aren't explained in this book. It moves very quickly, and before I knew it, the book was over and I was disappointed there wasn't more to it. The inclusion of chapters retold from Sebastian's point of view at the end can give a little more insight for the reader. It's not necessary to understand it and feel loathing toward the Mentis vampires. They're certainly painted as the most evil of the three clans. I have a feeling that future books in the series will give a larger view of this universe, and all of the other dangerous creatures in it.